How does Google Maps work on my website? It is possible to show the organization or your park on the website by using the map widgets. To use these, you need a Google Maps API Key which needs to be entered at the organization settings. 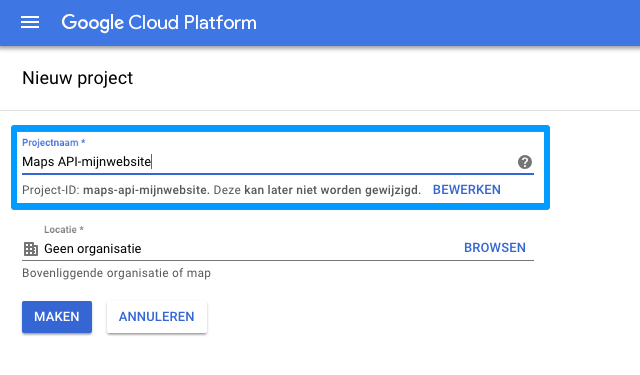 If you show a map from Google Maps on a page of your website, each visit will connect to this Google Maps API. As of recently, the unlimited (free) use of the API is no longer allowed by Google and they have set a maximum of 25000 times a day. If you go over that number, you have to pay for the service. Most websites will not reach this number, so for those it will remain free of charge. However, you now have to request an API Key and enter it yourself, which allows Google to keep track of how often the service is used. 28. Don't forget to save the settings. 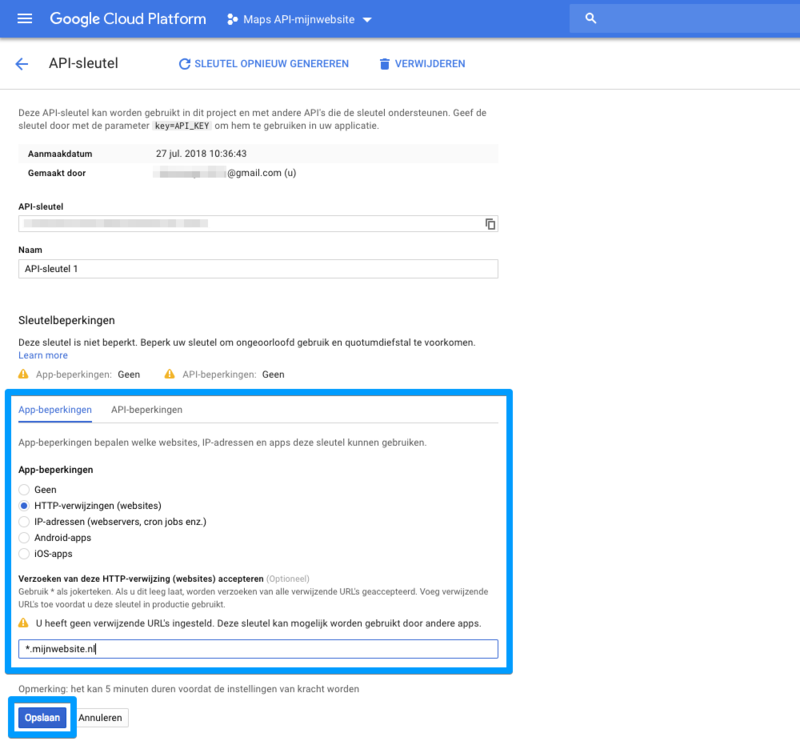 To actually use the Google Maps API, the project created above must be linked to an approved invoicing account within the Google Cloud Console. You may receive a notification about an update to unlock Google Cloud. At the top of the Google Cloud Platform, the following message will be shown: Upgrade now to unlock Google Cloud Platform. Click upgrade.